Important books, posts and links. I think a lot about most of them. Sometimes, I have something to say about the issues raised. Other times, I just want to praise the author or spread an interesting idea. The truth is, most of the things we discover and stumble upon in our lives are not new. They are not new, because they are merely incremental to what we already know. Most ideas and reflections are just that - a form of news, only extending our knowledge a bit. See outstanding Alan Kay's presentation (YouTube): Normal Considered Harmful If we try to chew on something entirely new, it hurts. That is my goal: I want to present only painful ideas to you here. I want to present ideas that are absolutely unlike to what you already know. Let me start with saying that Alan Kay's books, articles and lectures had a great impact on me and everything below this section is in one way or another influenced and inspired by Mr Kay. Alan Curtis Kay, PhD. Born in Springfield, MA on May 17, 1940. Turing Award winner in 2003. 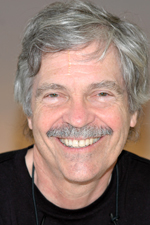 I recommend a reading list that Alan Kay published on his website squeakland.org. Almosyt all of the books that I am reviewing below come from this list. Kids should not be taught, they need to be loved and given example. Everything less or beyond is a waste of time, including almost 100% of current systemic education. John Holt's resentment towards traditional education is quite known and can sometimes distract from his grander and noteworthy ideas about children. He notes that children’s social status is marginalized and they are stripped off the power. Some of it makes no sense if you think about it. For example, why children have no right to own things? Sometimes parents give something to a kid - one could say the kid is the owner - but then they take it away as a punishment. That is not ownership. Also, why is a kid forced to live with parents without any clear way out? A parent can just quit the relationship (there is a path in law for that), while the kid cannot. Why children cannot vote but unemployed, retired or demented old people can? Everyone should read the book only to see things from the author’s perspective. I cannot agree on all of John Holt’s extreme ideas but maybe I am not ready yet? I hope to be someday. The first task (of schools) is to shut young people out of adult society. In all modern societies, children are a problem. Nobody wants them around. Mothers don't want them around the house, especially if (like many mothers) they have to work. Merchants don't want them on the streets, crowding the paying customers. Workers don't want them in the labor force, taking scarce jobs and dragging down wages. Nobody has any use for them; there is no place for them to go, and nothing for them to do. To the state, the adults cry with one voice, "Get these damn kids out of our hair!" The state obliges with laws compelling children to go to S-chool. This book is, in my understanding, a warning that TV is making us stupid for many reasons. After Trump became The Presidents of the United States, we all know that is exactly what happened. Today, everything is just a form of entertainment, including movies, news, papers, even books. They are all just easy to digest chunks of fun. While we have put an effort to dodge the Orwellian 1984, we overlooked Huxley’s Brave New World creeping into our reality. "What Orwell feared were those who would ban books. What Huxley feared was that there would be no reason to ban a book, for there would be no one who wanted to read one." What steps do you plan to take to reduce the conflict in the Middle East? Or the rates of inflation, crime and unemployment? What are your plans for preserving the environment or reducing the risk of nuclear war? What do you plan to do about NATO, OPEC, the CIA, affirmative action, and the monstrous treatment of the Baha’is in Iran? I shall take the liberty of answering for you: You plan to do nothing about them. Julian Jaynes claims that conscience is something that humans developed. Back in the ancient times, our ancestors had the bicameral mentality. They heard voices coming from inside their head, which led them to believe they were coming from gods. These voices could not be ignored or disobeyed. Because of that, we could compare the bicameral mind to a mind of a schizophrenic. The bicameral mind lacked introspection, thus it cannot be equated with today’s conscience. The author has no proof and infers stuff most of the time. However, the idea itself is very interesting and stimulating, even provided that it might be completely false. Consciousness is a much smaller part of our mental life than we are conscious of, because we cannot be conscious of what we are not conscious of. How simple that is to say; how difficult to appreciate! It is like asking a flashlight in a dark room to search around for something that does not have any light shining upon it. The flashlight, since there is light in whatever direction it turns, would have to conclude that there is light everywhere. And so consciousness can seem to pervade all mentality when actually it does not. Some software but successes mostly in education. I worked on various web and mobile app software but I am mostly proud of my educational efforts. I spent some time thinking about programming, especially Design Patterns implemented in Swift and Principles of OOD based on Uncle Bob articles. I tried to distil rather complex ideas and prepared two very popular publications in the form of GitHub repositories that can be read as articles or used as Swift Playgrounds and played with. It is nothing grand but it has changed how I see and value my time. Now I perceive the time spent outside education as idle. Another small contribution of mine is software architecture Super Simple. Currently, it is only implemented for Swift on iOS - my main platform of interest - but soon I want to port it to Kotlin.